The U.S. Geological Survey (USGS) is the lead federal agency for the monitoring of wet atmospheric deposition (chemical constituents deposited from the atmosphere via rain, sleet, and snow) in the United States. 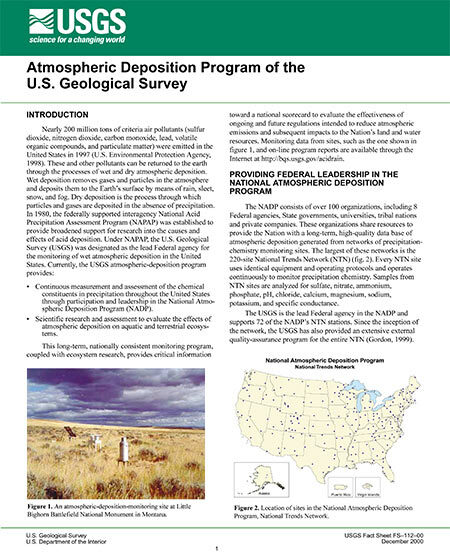 The USGS atmospheric deposition program provides: 1) participation and leadership in the National Atmospheric Deposition Program (NADP) and 2) scientific research and assessment to evaluate trends and the effects of atmospheric deposition on aquatic and terrestrial ecosystems. The NADP monitors wet atmospheric deposition at approximately 300 locations throughout the United States. The USGS supports 76 of the roughly 250 NADP National Trends Network sites which measure acidity, nutrients and other major ions in precipitation. 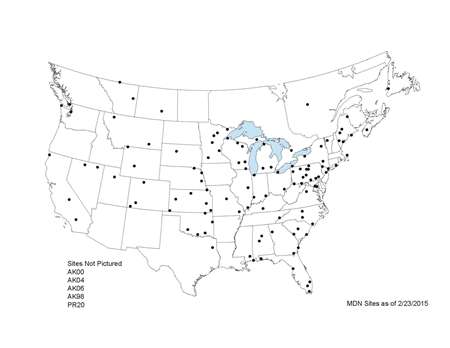 The USGS also supports 1 of the approximately 100 sites in the NADP Mercury Deposition Network which measure total and methyl mercury in precipitation. 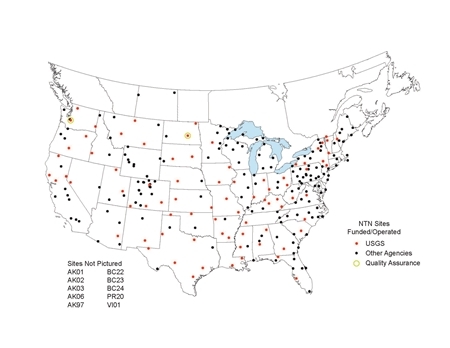 A fundamental NADP program objective is to provide scientists, resource managers and policy-makers world-wide with a long-term, high-quality database of atmospheric deposition to support research and decision-making in the areas of air quality, water quality, agricultural effects, forest productivity, materials effects, ecosystem studies, watershed studies, and human health.